Replacing the old broken concrete sewer lateral with SDR pipe in Bridgeport from the side of the house to the curb. Cabling a Main Sewer Line in Bridgeport and found some roots at several joints. Grease was blocking the whole pipe. The landlord was shocked. 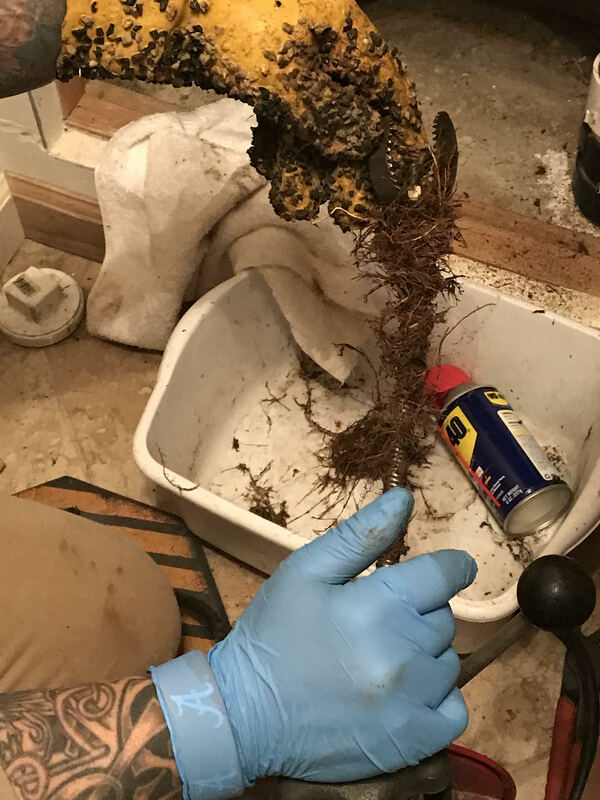 See what’s clogging your main sewer line. Most Home Owners are not aware that the main sewer line can become clogged over the years. 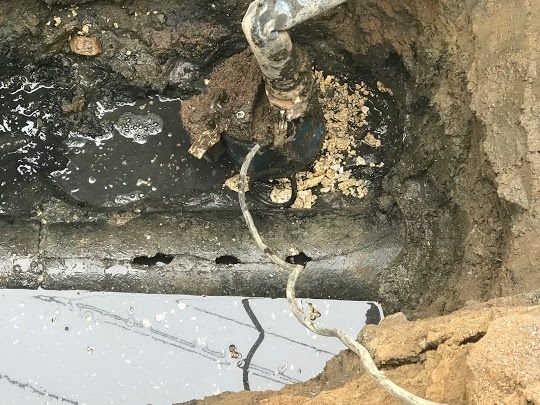 This clog can be due to normal blockages from everyday use or roots working there way into the pipe through small cracks or openings in the connections of where the pipes meet. 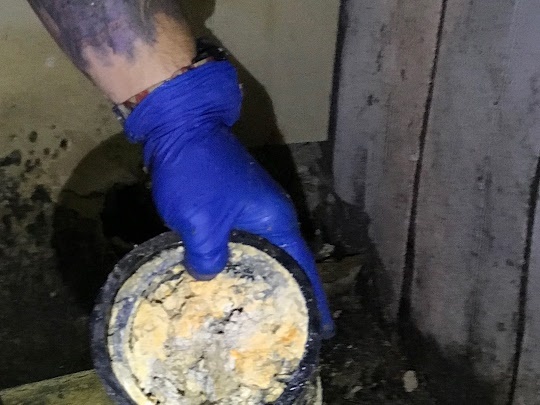 Whatever the reason behind the clog, there is no question that a blocked sewer line is going to cause problems. 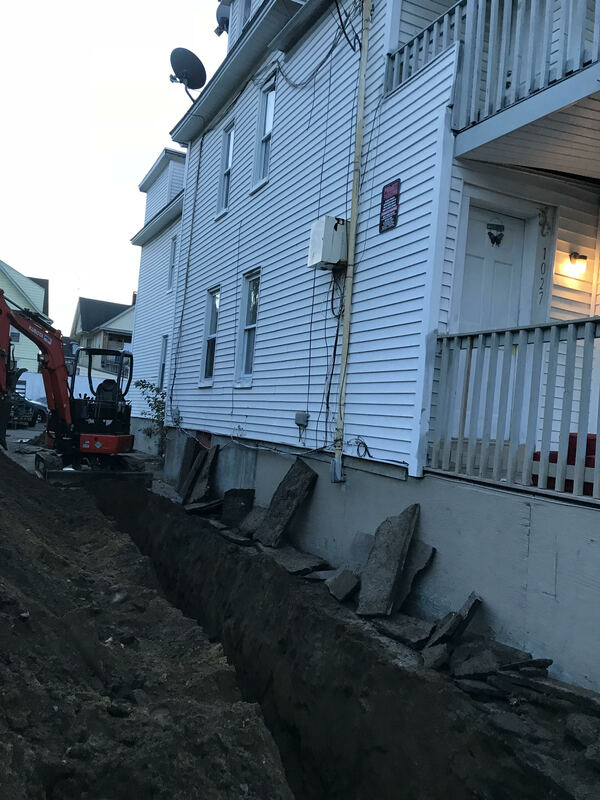 The sewer line is what transports waste from the home to the city sewer system, so resolving the problem should be done as quickly as possible. Excavated before the road found a little grease in the line. 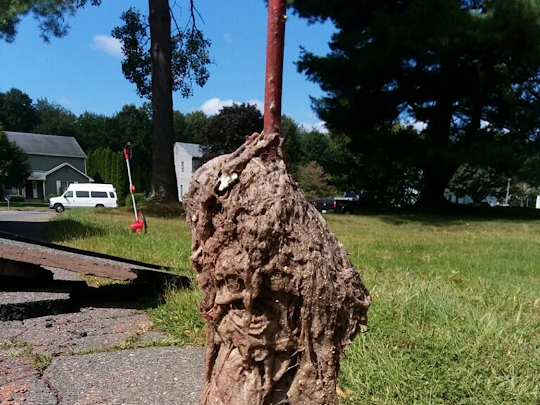 This is what will happen over time when you keep putting grease down the sewer line. Using a camera & locator and the high-pressure water jet to clear clogs. My catch of the day. 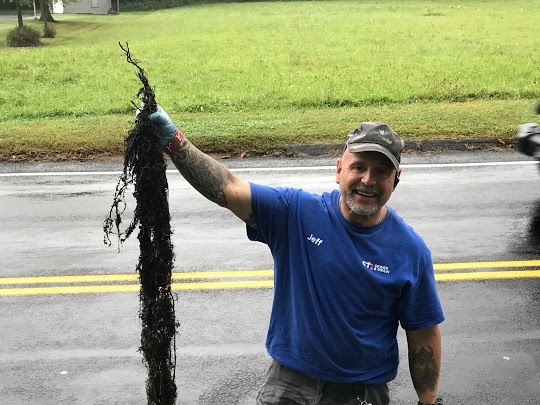 This came from the customers leeder/ gutter drain outlet that was clogged and buried. We were able to find it by using the camera & locator, and the high-pressure water jet. They called because their basement was getting wet after the heavy rainstorm. Most people call basement systems first and find it costs a lot of $$$$. For a fraction of the cost, I was able to find the root of the problem.